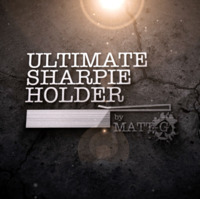 Today, when you order "Ultimate Sharpie Holder by Matt G'", you'll instantly be emailed a Penguin Magic gift certificate. You can spend it on anything you like at Penguin, just like cash. Just complete your order as normal, and within seconds you'll get an email with your gift certificate. Make your performance with gimmicked Sharpies even more streamlined with ultra fast loading and ditching. 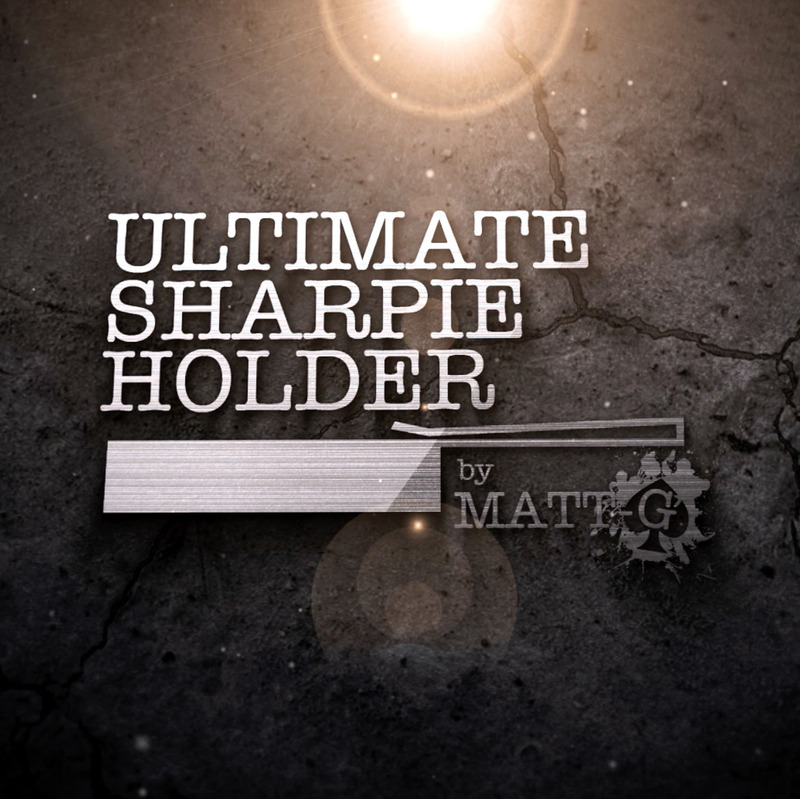 The Ultimate Sharpie Holder is designed to holdout gimmicked Sharpies that have a Stamper or writer on the end. The holder hooks onto your inside jacket pocket or back trouser/jeans pocket and keeps the gimmicked part of your Sharpie above the pocket line making accessing your gimmick a breeze. Always held in place ready to perform at a moments notice. 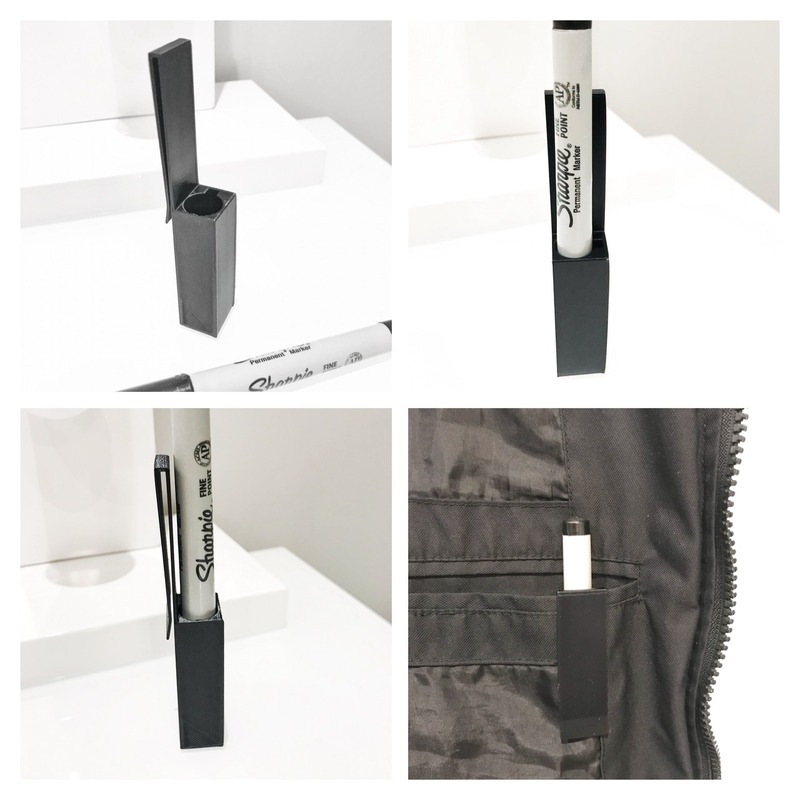 Each Ultimate Sharpie Holder is fitted with a foam friction strip to prevent the Sharpie falling out should the performer lean forwards during performance. We include two extra foam strips so you can adjust the fit to suit many other pen gimmicks too. Perfect accessory for amazing effects such as Double Cross by Mark Southworth and Super Sharpie by Magic Smith. I received my holder today and LOVE it! It's fantastic to use with Super Sharpie and Double-Cross because it makes it much easier to remove and return the secret writer/stampers. It's also better to manage these adjustments INSIDE your jacket rather than out in the open without cover. Plus, it keeps pocket lint off the sticky tack. I also liked the extra pocket space gained because the Sharpie is on the OUTSIDE of your inner jacket pocket. It's easy to locate the Sharpie by feel alone. For kicks, I attached a traditional lead-boon writer to the base of the holder and it also worked terrific...It stayed firmly in-place and it was easy to secretly add it to your thumb during the action of getting a piece of paper. In fact, with a little imagination the BASE could be utilized for other applications. between gigs. I'm planning to purchase at least 1 or 2 more...this was a great purchase! I bought one of these when Matt posted on FB. So glad I did. I love Double Cross and have it on me all the time. The only problem was keeping the gimmick in my jacket or bag. If you have it you know the problems. Ultimate Sharpie Holder solves them. Simple, effective and easy. Buy it.